New Clients Receive 15% Off First Visit When Mentioning This Ad. 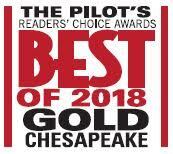 Fringe Salon is one of the areas most trusted salons and 2018's Best Of Chesapeake Gold winner for Best Hairstyling Salon/Beauty Salon. Located at 1400 Kempsville Rd inside the Orchard Square Shopping Center in Chesapeake and at 1169 Nimmo Pkwy inside the Red Mill Commons shopping center in Virginia Beach. Whether you’re looking for a completely new haircut and hairstyle or want to enhance your existing look, our talented team of professionals are here to make it happen. We provide expert advice tailored to your specific wants and needs. We are a color focus Hair Salon so our Stylists are highly trained in Hair Color techniques including Balayage, Ombre, we are also Brazilian Blowout Certified. Our friendly staff will make you feel like you’re at home. We use quality J Beverly Hills products and the latest hairstyling techniques to bring out your very best. Fringe Salon promises to provide you with 5-star service that will surpass your expectations. Come see why we were voted the Best Hair Salon. Call and schedule an appointment at Fringe Salon today and let us help you experience the incredible difference even a single visit to our salon can make.